The force is strong with leaks today. Leak, you must. Leak, I am your father. Enough with the bad Star Wars jokes. What isn’t funny are all the leaks we’ve seen in a single day. They sure are great for fans, like you and me, but probably not too great for executives hoping to keep Episode VII under wraps before its 2015 release. 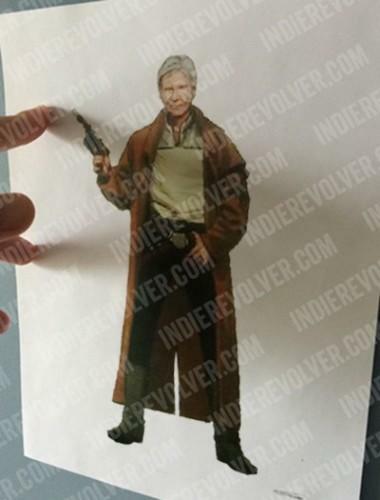 Following up on the Stormtroopers and Millennium Falcon leaks from earlier today, a few Han Solo costume images have hit the Web. Not quite as exciting as seeing the inside of one of the most famous spacecrafts to be on film, but cool nonetheless. Han Solo has always had a pretty casual wardrobe—black pants, white long-sleeve henley and black vest—and it looks like costume designers will be keeping with that same motif. 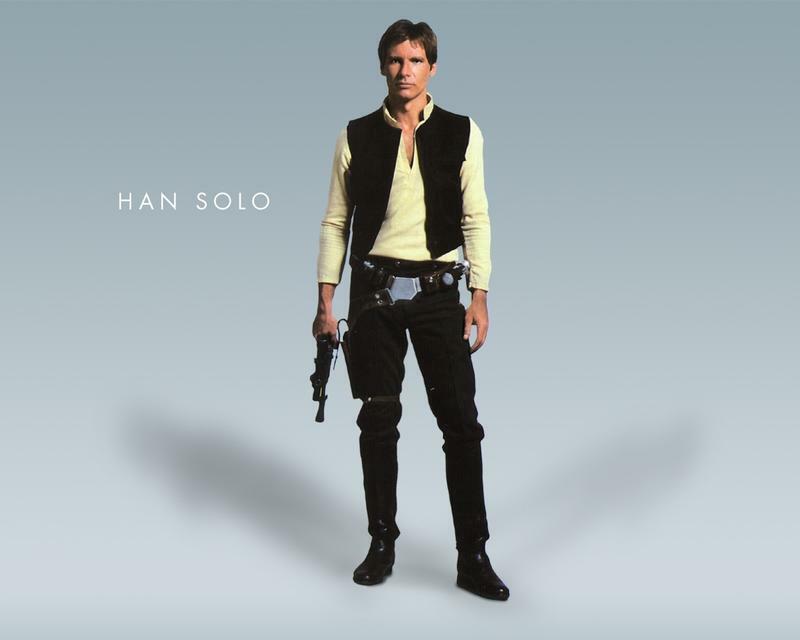 In one of the images, Mr. Solo wears what looks like more of a western outfit, complete with the long gunslinger style coat; it’s simple, and easily identifiable as a Han Solo costume. 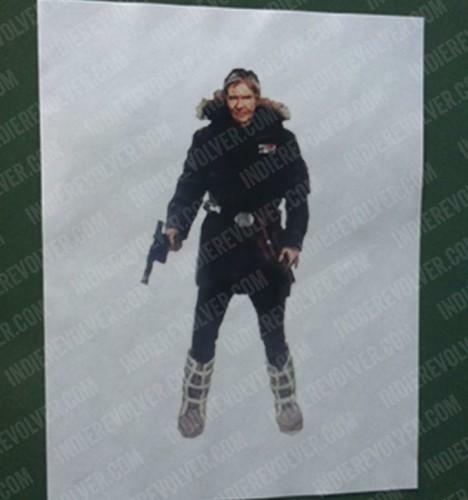 There’s an additional, more generic outfit, which is just basically Han dressed up in a black parka with gray snow boots. These do look like costumes that may have appeared in Empire Strikes Back and Return of the Jedi, so there’s definitely a familiarity here. Filming of Episode VII is scheduled to get back on track as Harrison Ford recovers from his broken leg. Even participants in the Rebel Alliance get hurt. Star Wars Episode VII is slated to hit theaters on Dec. 18, 2015.